Ask about our concierge services! There are many things to see and do while in Ocala, so don't waste your time trying to search for the best services. We know all the good local restaurants, whatever your taste might be. From Harry's Seafood on the Downtown Square, or wood fired pizza from the unique open rooftop dining at PI on Broadway, we've got it all! We can arrange black car, limousine, van or executive day coach service to accommodate any size group. We can also provide aerial tours of the surrounding area. 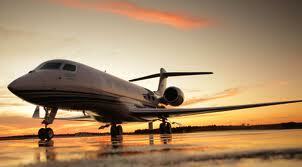 If you require private charter we can do that too! Call Lydia for more information.